The history behind this famous Asian soup is as cloudy as its broth, but scholars say it originated in China before being brought to Japan in the early 19th century. Since then, it’s become a staple in Japanese cuisine. Comprised of wheat noodles served in a fish or bone broth topped with green onion and meat, this salty soup is the perfect way to indulge on a chilly winter’s night. 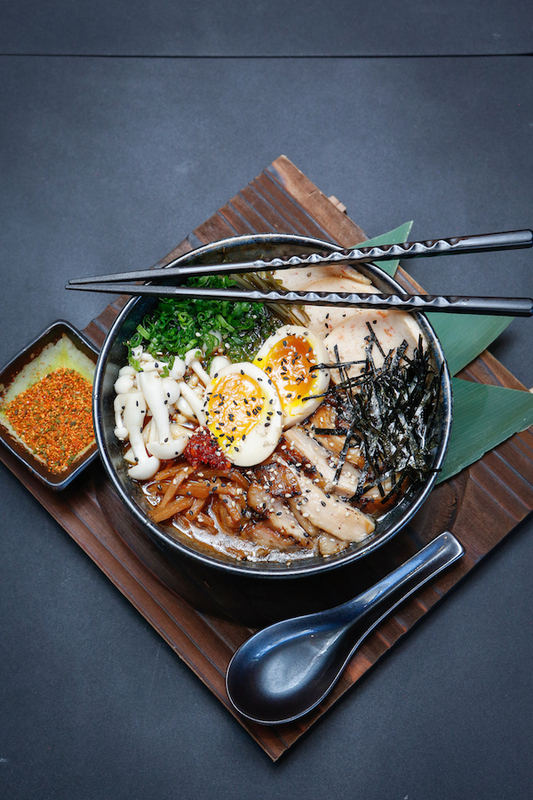 Top Chef season six winner Mike Isabella’s Japanese joint offers traditional and creative takes on ramen. 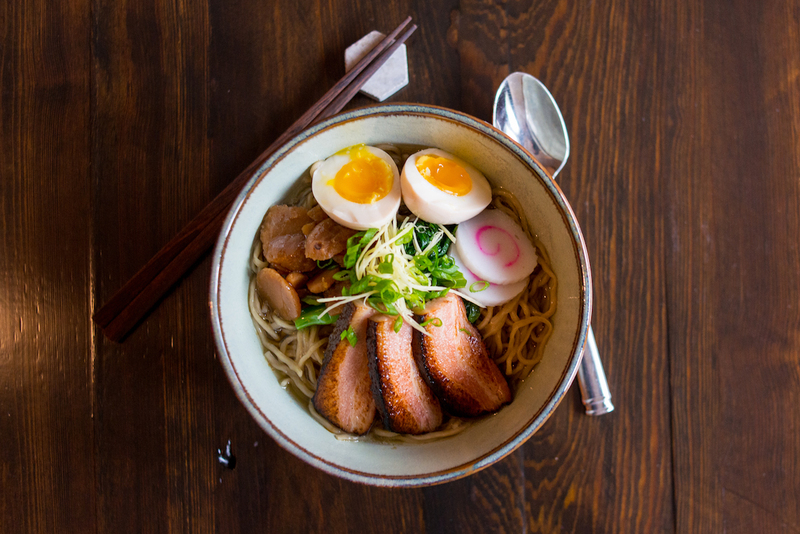 From the universal crowd-pleaser of Miso Pork Ramen to Chicken Curry Ramen and Veggie Ramen, you’re going to want to add all of these to your Insta. Make a reservation at Yona. 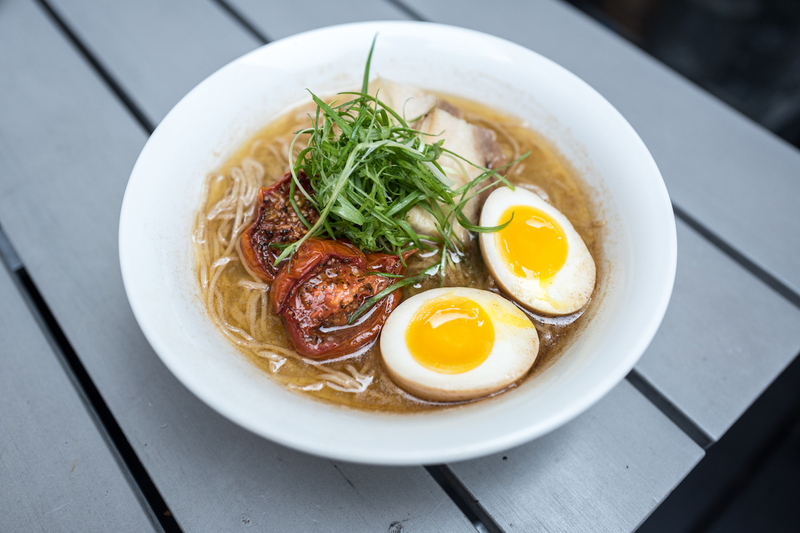 This Lower East Side izakaya and sake spot serves up one seriously rich bowl of ramen. 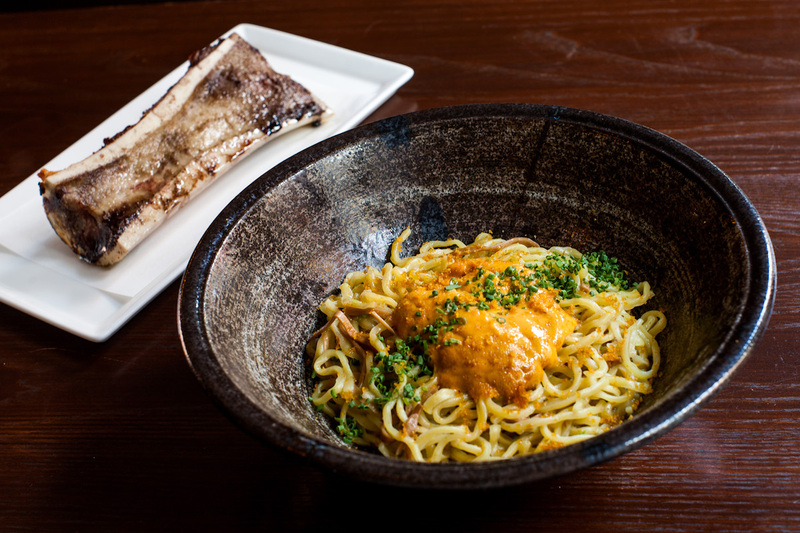 Under their uni section, the Uni Mazemen Ramen is accompanied by a massive marrow bone that you can scrape into your soup — or enjoy on the side. Make a reservation at SakaMai. Sample a variety of pan-Asian cuisine at the second restaurant by Top Chef season 12 finalist Gregory Gourdet. 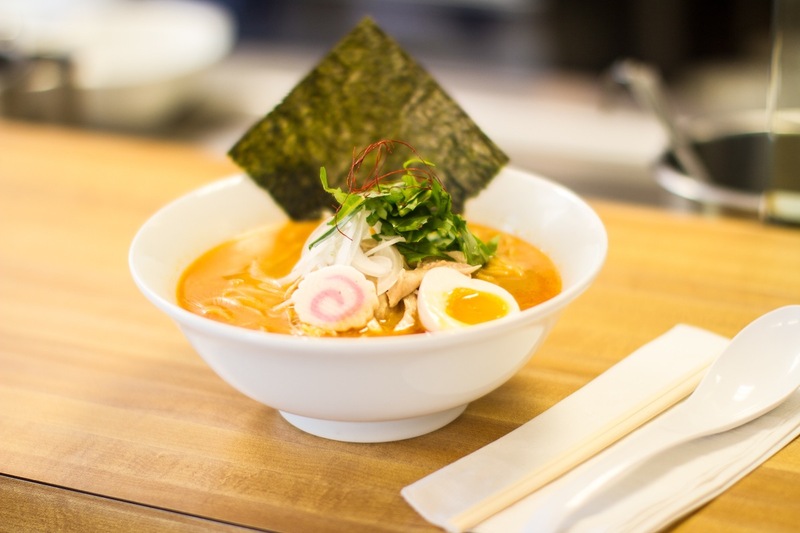 Departure is known for crafting one of the tastiest versions of Spicy Miso Ramen in the Mile High City. Make a reservation at Departure Restaurant + Lounge. Don’t miss the Sapporo-style ramen from the team at Haikan with noodles custom-made for them in Sapporo, Japan. Their broth is called Chintan and is a complex mixture of chicken, beef, and pork. Choose from a small or large bowl and add as many toppings as your ramen-loving heart desires. Make a reservation at Haikan. The perfect remedy for a cold day in Canada. 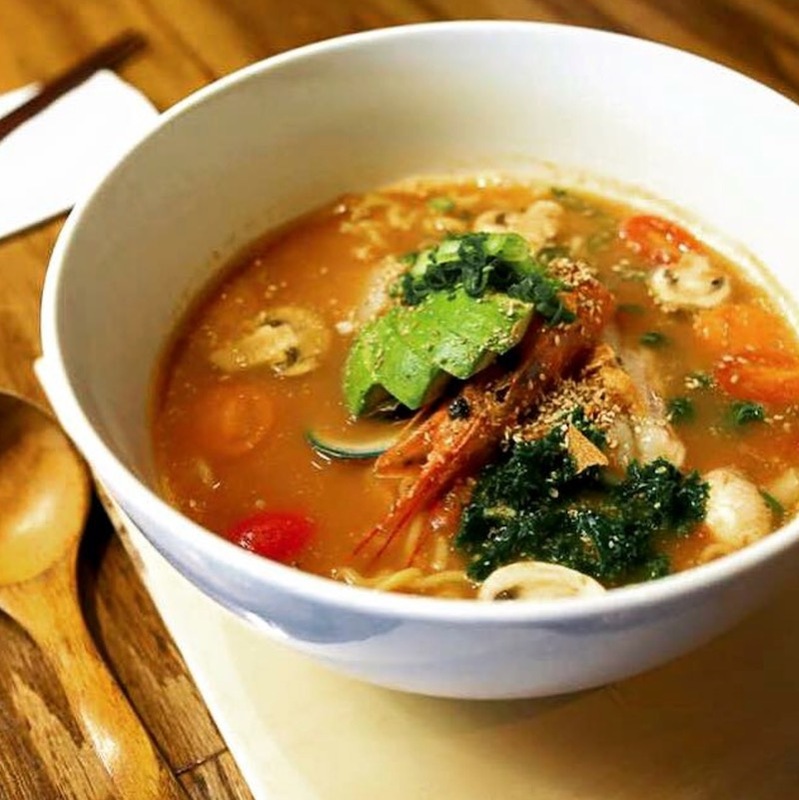 Head over and try a number of ramens with locally-sourced ingredients, including Green Seafood Curry Ramen, Roasted Garlic-Tomato Seafood Ramen, and Shio Paitan Ramen. Make a reservation at Ikemen Ramen Bar. 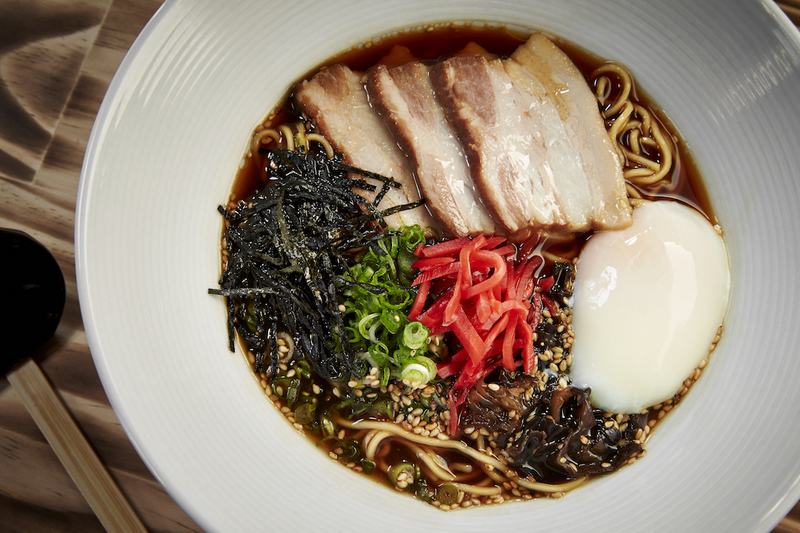 As seen on Netflix’s Chefs Table, Ivan Orkin’s ramen is some of the best in New York, if not the world. After learning from the masters and opening up what is considered to be on of the best slurp shops in Tokyo, he came back to the Big Apple and opened up his flagship restaurant. Make a reservation at Ivan Ramen. Inside the Diplomat Resort is celebrity chef Michael Schulson’s modern take on an izakaya restaurant. 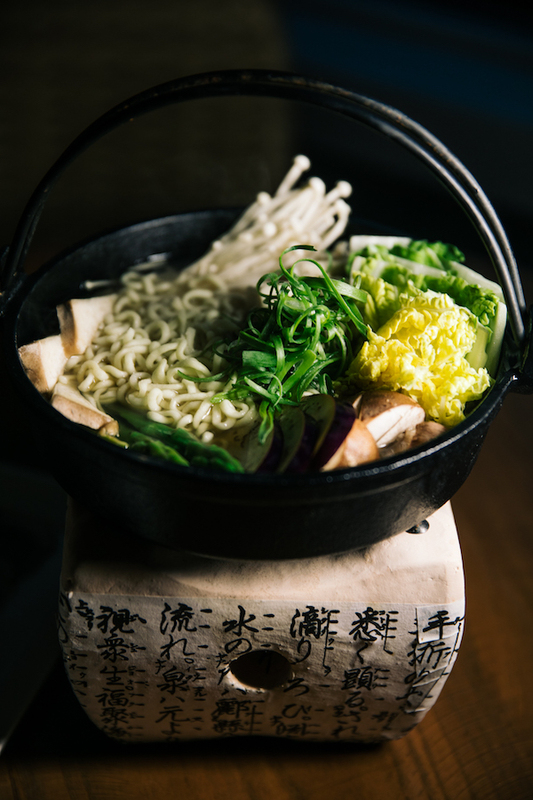 His Duck Shabu Shabu is the highlight of the menu, and the cabbage, tofu, and mushrooms included are the perfect additions to this tasty bowl of noodles. Make a reservation at Monkitail. This East Village spot serves up Saimin, a Hawaiian version of a traditional Ramen. It has a Japanese dashi broth, Chinese soup noodles, and Kahlua braised pork belly and is served with kimchi on the side. This dish, like the islands, is truly a blend of cultures and cuisines. Make a reservation at Noreetuh. Photo credits: Adam Larkey (Departure); Daikaya Group (Haikan); Greg Powers (Yona); Daniel Krieger (Ivan Ramen). I’m Japanese who grew up in Tokyo. I tried Ivan Ramen in NY along with many other places. It was ok but way too salty. I highly recommend Terakawa ramen in Chinatown in Philadelphia. Tried shoyu ramen. It was so far the closest to the real ramen in Japan. The soup, the noodles together with the toppings of steamed pork , bean sprouts, half soy pickled egg, bamboo shoots are all legitimate and good. It’s a real Japanese Ramen!! Santoka ramen in Fort Lee, NJ and in Chicago inside Mitsuwa supermarket are also excellent genuine tonkotsu Ramen. It’s a Real Japanese Ramen. I highly tecommend Torino in Wilmette, IL. It’s authentici Tokyo ramen served in an upbeat tiny restaurant! I highly recommend Torino in Wilmette, Illinois. It is authentic Tokyo Ramen served in an upbeat, tiny restaurant. Any recommendations for the San Francisco area? I am Japanese. And I love ramen. I am so happy finally ramen is happening! I miss the good “ tonkotsu” broth coooked and reduced for 3days…. The ramen I tried here are generally OK. But often times they make it too fancy. The pork berry was usually cut too thick so that you have to bite into the fat… watch the movie “tampopo”. The pork has to be paper thin. You can press it into the broth and whole piece can be eaten in one bite. I like the authentic almost aldente raman with generous amount of broth and slurp ina couple of minutes! It is not the food you enjoy with wine!